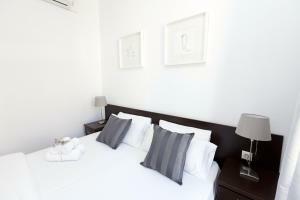 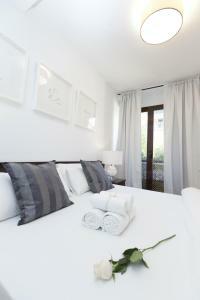 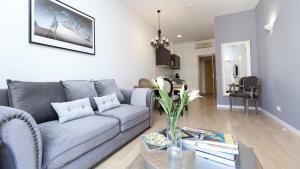 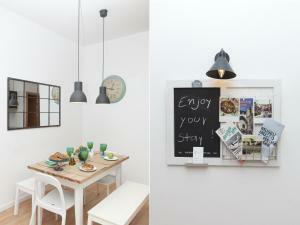 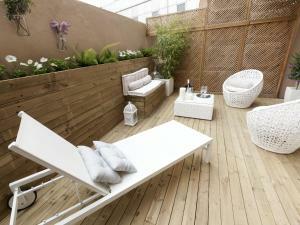 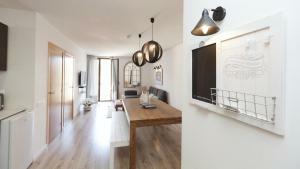 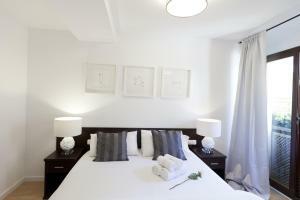 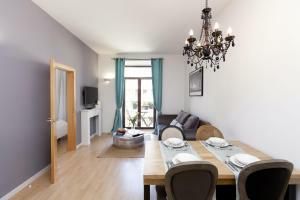 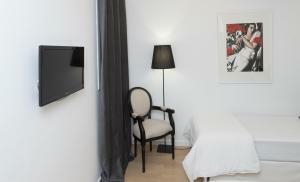 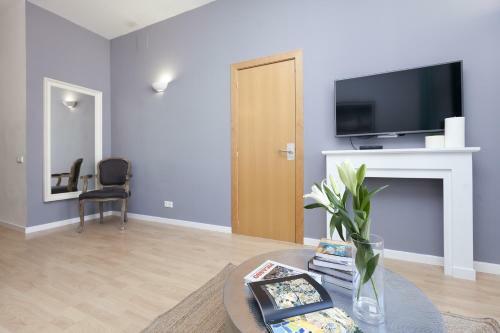 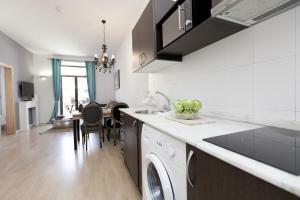 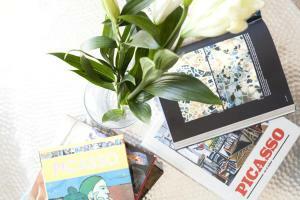 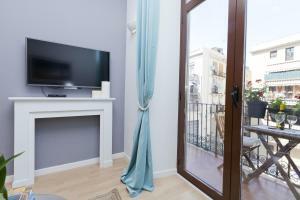 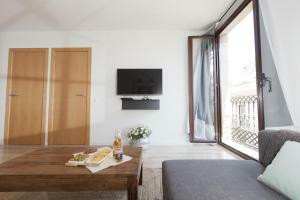 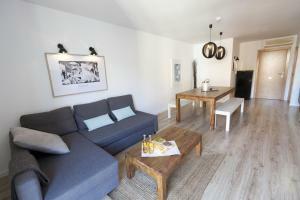 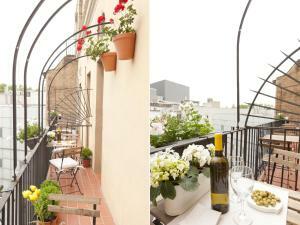 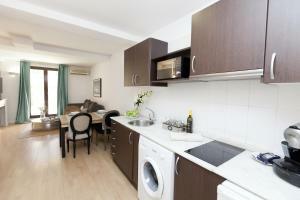 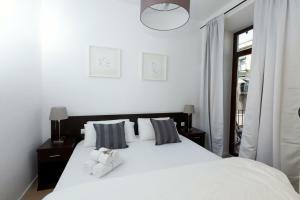 Located 50 metres from Las Ramblas and opposite Gaudí’s Palau Güell, Happy Apartments offers free Wi-Fi. 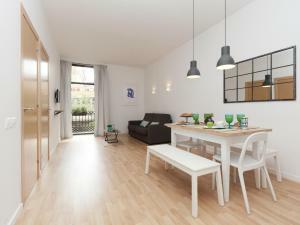 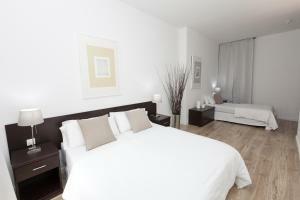 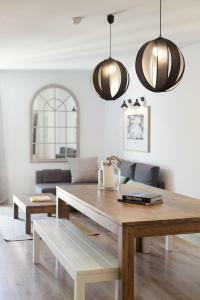 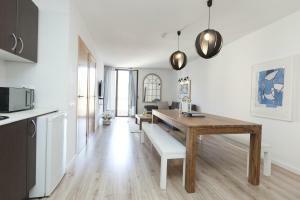 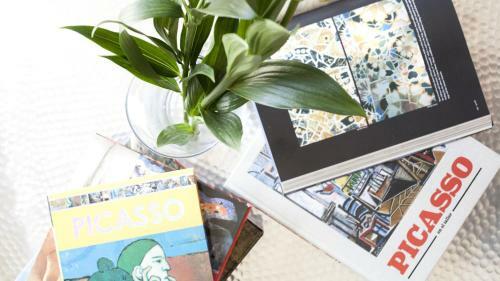 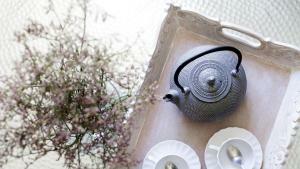 Set in Barcelona’s Raval District, it features well-equipped apartments with stylish décor. 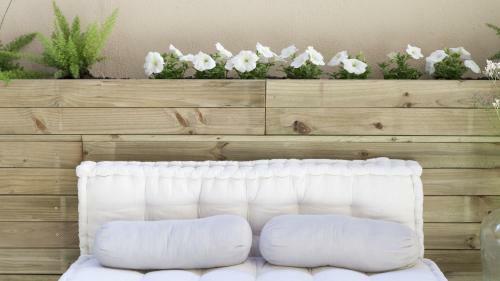 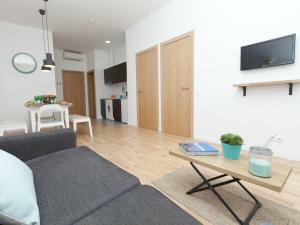 Each air-conditioned apartment at Happy Apartments has a spacious living room with a sofa, TV and DVD player. 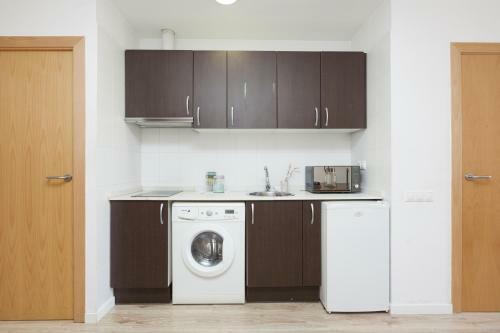 Kitchenettes come with an electric hob, fridge and kettle. 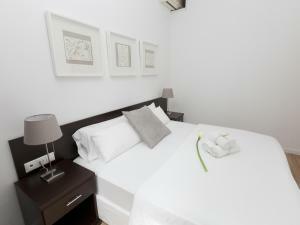 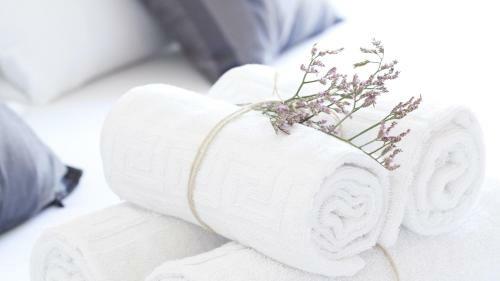 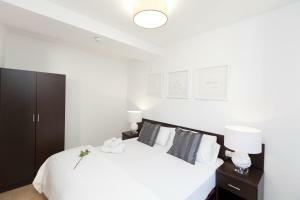 Luggage storage is available free of charge, and towels and bed linen are included. 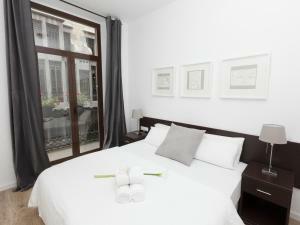 There is a selection of shops in the streets surrounding the apartments. 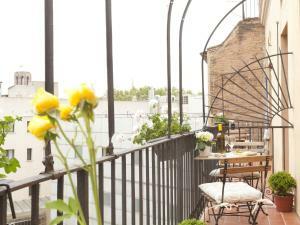 You can find a range of bars, cafés and restaurants on Las Ramblas and the nearby Gothic quarter. 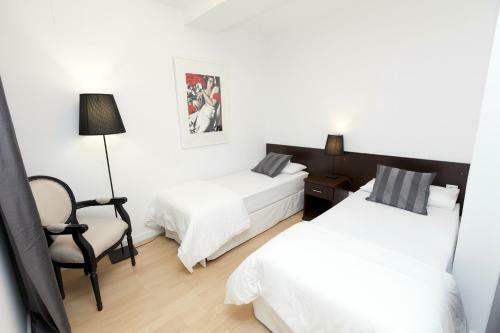 Liceu Metro Station is 400 metres from the property, and La Boquería Market is a 5-minute walk away. Buses to the airport depart from Plaza Cataluña Square, a 10-minute walk from the apartments. 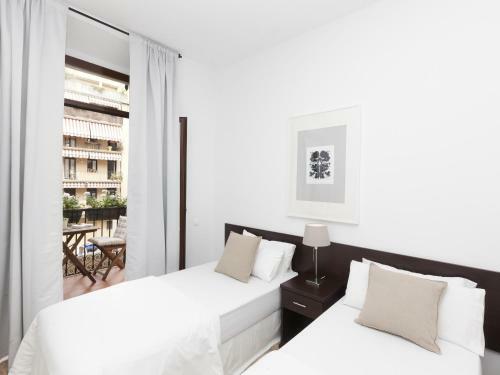 Paseo de Gracia Street, known for its exclusive boutiques and Gaudi's buildings, can be reached in around 20 minutes on foot. 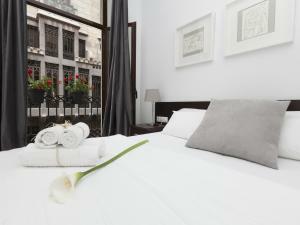 Please note, early check-in before 15:00 is possible subject to availability and has a cost of € 35. 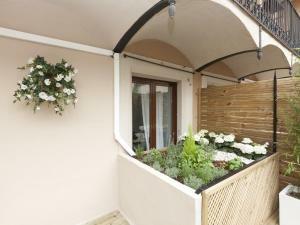 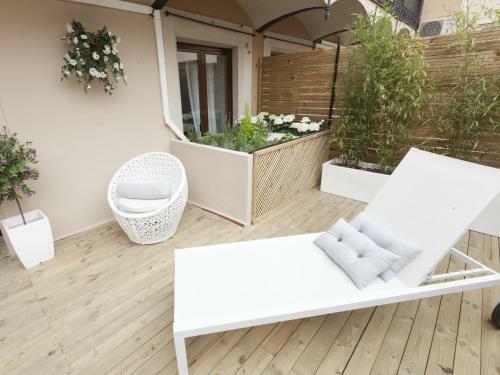 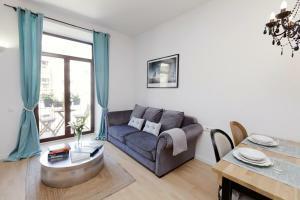 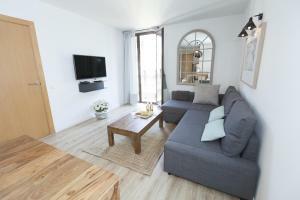 Spacious apartment with a quiet sunny French balcony. 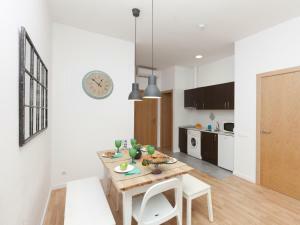 It includes 1 double bedroom, 1 bedroom with two single beds, living room with sofa bed and modern kitchen with hob and cooking utensils. 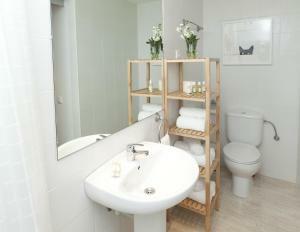 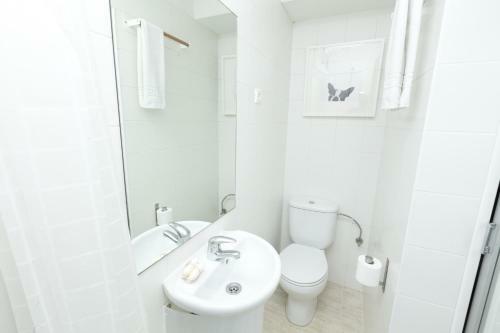 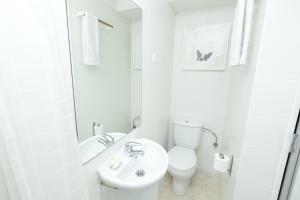 There is a bathroom with shower and hairdryer, washing machine and ironing facilities. 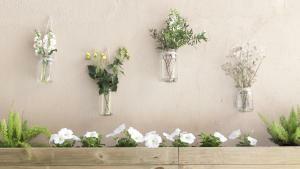 Rate: € 185.30 ... € 220.00; select dates below to get current rates. 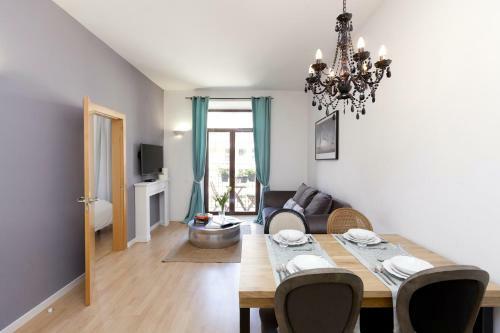 Offering a French balcony overlooking the distinctive Palu Guell, this apartment comes with a bedroom with 2 single beds, one with bunk beds, spacious living room with dining area and open kitchen with coffee maker, kettle, toaster and washing machine. 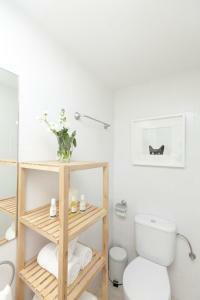 Includes towels and linens. 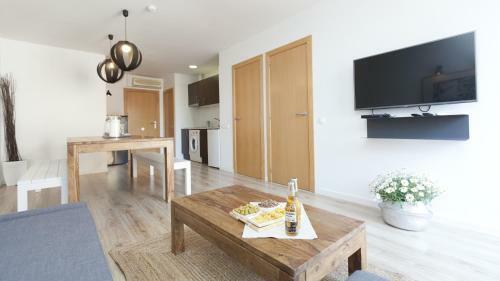 This spacious apartment has air conditioning, 3 bedrooms and a stylish lounge with 1 sofa bed, free Wi-Fi and flat-screen satellite TV. 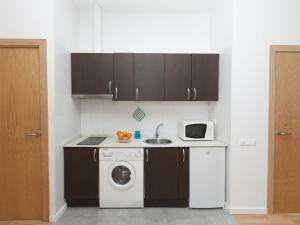 The kitchen and dining area includes a fridge, microwave and coffee maker. 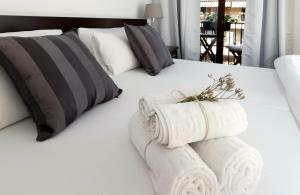 Bedding, towels and kitchen utensils are provided. 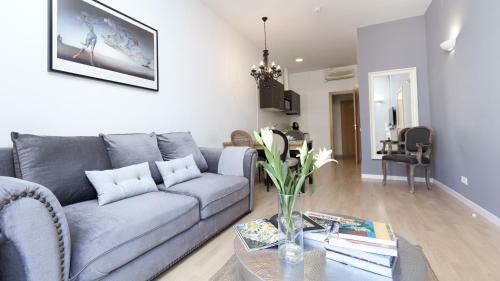 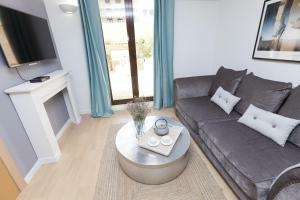 Featuring a private terrace this apartment includes 2 double bedrooms, a spacious living room with a double sofa bed, a fully equipped kitchen, and a bathroom with shower.